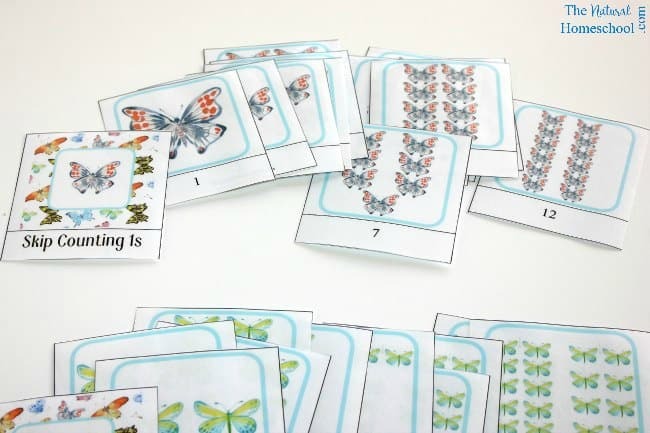 We have been loving our Butterfly Skip Counting Games for Kids SO MUCH! 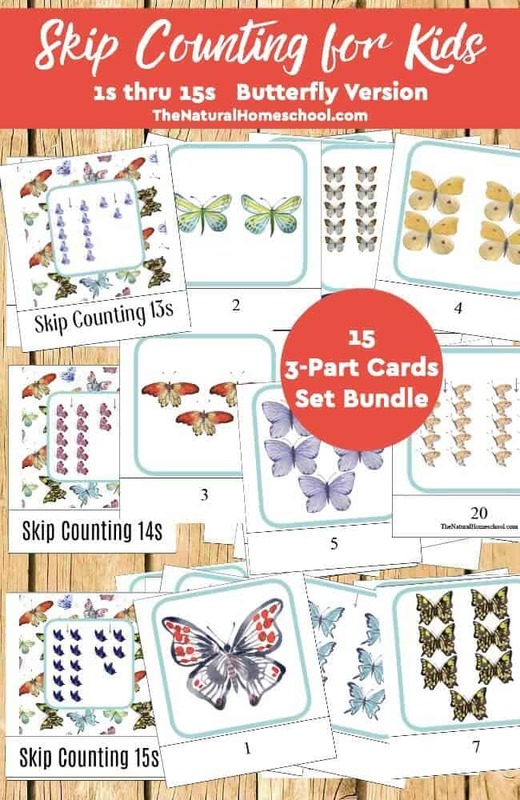 In this post, you will see all 15 sets of skip counting 3-Part Cards in a beautiful bundle! Get all skip counting cards from the 1s thru the 15s! That is almost 200 cards in all! Or you can print two sets of each of the skip counting games for kids in color to use them as the typical 3-part cards. 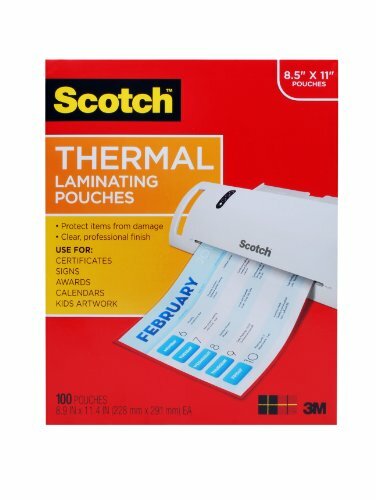 Ince set looks like the picture below and the second set has the card and the number part separate. Kids can play games trying to match the pictures with the same numbers. Another wonderful thing that you can use these car sets for are to teach your kids the difference between odd and even numbers and how to find them! Look at the picture below. Your child will learn the word even the best if it is introduced first. Place your hands facing up and they go up and down, as if they were the two sides of a scale. Say, “even.” They are the same on each side. Then say “odd.” Place on hand higher than the other to show how they are not the same. Odd is uneven. 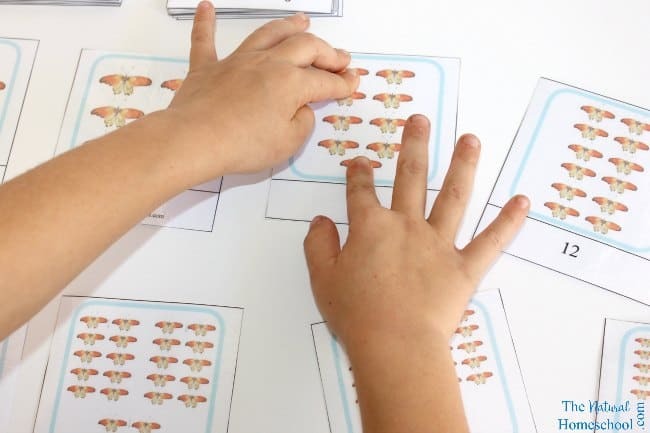 Using the cards, your child will try to run his/her finger through the middle of each column of butterflies. If the finger runs all the way through, then the number is even (2, 4, 6, 8, 10, etc). Show how either side of the column has the same number of butterflies. If he/she is running the index finger through and a butterfly is in the middle, so the finger “crashes” into a butterfly, then the number is odd (uneven). Show how there is an even number of butterflies on the column until the end, where there is one lonely butterfly. That makes it odd or uneven. 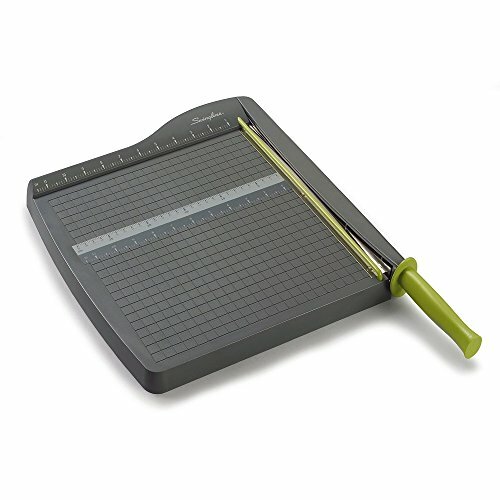 Your child will be able to distinguish odd and even using these awesome visual aids and will be able to do that with any number in the near future after that. Now it’s your turn to get all of the 15 sets here! 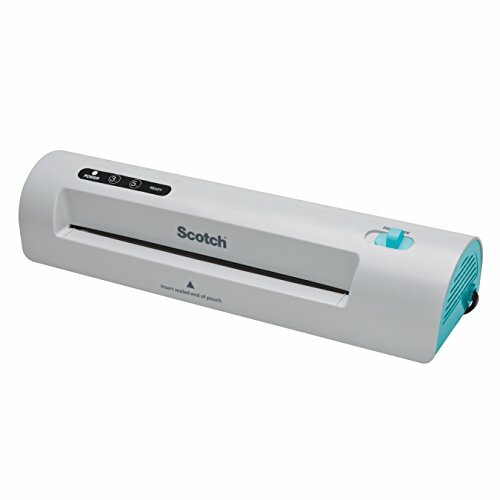 We have them at a very special price right now. They are all beautiful and your child will be learning to skip count all the way up to the 15s in no time!